Home > Blog > Uncategorized > Should you Pawn Jewelry? Is Sentimental Value considered in the Valuation? The short answer is no. The value of a piece of jewelry to you may well be much higher than the value to a potential buyer. Hat City Pawn, like other pawn shops will provide you with a fair value on any piece based on the market value that jewelry has. The benefit of pawning, rather than directly selling jewelry is that you’re able to reclaim it in the future. Will you be able to reclaim your pawned jewelry? If your jewelry holds sentimental value, this is an important question to ask yourself. Your financial situation may not improve enough for you to be able to repay your pawn loan. 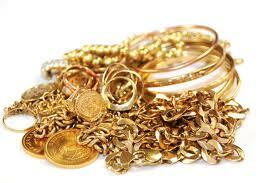 If you decide to pawn your jewelry, be realistic and understand your personal financial situation. While pawn shops are willing to work with you and offer extensions to your loan, you may find yourself unable to repay your loan. As long as you know this at the start, you will be able to accept it as a fact of life should it happen. Does the monetary value of the jewelry outweigh the sentimental value? Sometimes the monetary value of the jewelry is more than its sentimental value. While you may have an attachment to the first piece of real gold jewelry you owned, it may be time to move on with life. If you can pawn your jewelry and improve your future outlook, it may be worth it to pawn your jewelry. Ultimately, only you can decide whether or not you should pawn your jewelry. While it is an ideal item of value to pawn, jewelry can also hold great sentimental value. You simply need to decide what is most important in your life at this moment and going forward. If you decide you might want to pawn your jewelry, go to a pawn shop you trust. Most pawn shops are very inviting and will allow you to take as much time as you need to make your decision. Pawn brokers are understanding of people and know that life is sometimes unexpected. They will work with you to help you make the most of your current situation.